What is the easiest way to level up Pokemon? Normally, leveling up your Pokemon to level 100 is very time consuming, but there are a few things you can do to make it MUCH quicker. Scan the below QR codes in your Secret Base QR code scanner. MAKE SURE YOU HAVE YOUR EXP. SHARE ON. Once you have turned on the level release, make sure your lv. 80-100 Pokemon is at the head of the party, if it is, talk to the trainer in the secret base and battle him/her. You will get battled by 3 lv. 100 Blisseys, the first 2 will use Healing Wish, when the third Blissey uses Healing Wish you will have to defeat it manually. If you don't have a strong Pokemon, use Toxic on the last Blissey. this is also helping me alot! thanks! In XY, the easiest way is to put them in the daycare, then go to Lumiose City and set your bike to go around the tower in an infinite loop by putting a piece of card under your circle pad. Leave your 3DS charging when you do that, and you can do it overnight/ at work or school and come back to the day care after that. I don't recommend this though, because the circle pad can get damaged through this. Aside from this, the numerous post game trainers are the only other option. If you have an Audino friend safari, that would work up until about L50. 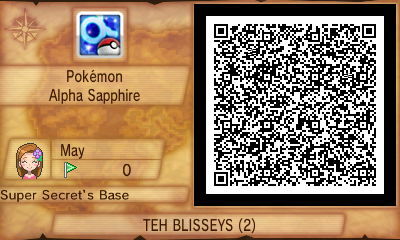 In ORAS, the best way is via Blissey bases. 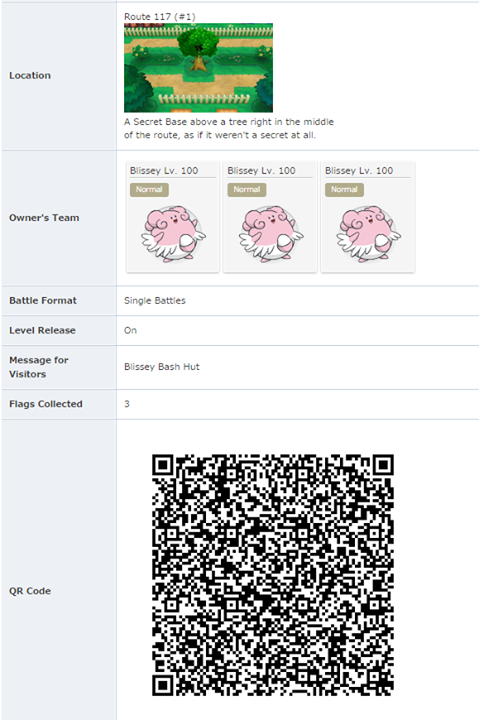 On Reddit and Smogon, a lot of people have posted their secret bases which consist only of Blissey who have 1 move: Healing Wish. In singles format they will knock themselves via the move until the final one, so you have to knock out 1 Blissey yourself. In doubles/ triples format, you will have to knock them out yourself. ORAS also offers an infinite loop for your bike as well, and it's at the Battle Resort. It's not as smooth as the one in XY though, and hence takes longer for you to cycle (because the angle is quite awkward and there's dark sand that slows your bike). The upside is that there are 2 day cares, and you can therefore leave 4 (I think?) Pokemon and level all up simultaneously. If you have both XY/ ORAS, you can always breed on XY and send the Pokemon to ORAS, as that will increase their exp. gain since they're not native to your ORAS OT. In my opinion, triple/double battles against another trainer is the best. Trainer battles give you more experience than normal battles in the wild. Also, a Pokémon gains more experience by having actually entered battle than if they were just having the Exp. Share used on them. Triple and double battles allow more Pokémon to be in the field at once. The restaurants in XY and the Mauville Food Court are excellent places to train. Remember to keep the Exp. Share on. This way, even Pokémon that arent battling get experience. This is extra helpful if you have a really underlevelled Pokémon; they can catch up with the shared experience. Rebattling trainers is also a good idea since trainers give off more experience. Victory Road can also be helpful. In ORAS the best way to Level Up is by doing it through Blisseys in your secret base. You can always just google QR Codes and scan them in order to invite people into your base. These trainers are nice enough to have 3 lvl 100 Blisseys with only Healing Wish as a move. Simply battle them in order to gain the huge amount of EXP they give. Note that your secret base should have a Level Release so that the Blisseys ARE level 100. If you don't activate/use it they will be Lvl 50 Only and that's a lot of EXP loss right there. Remember to have your EXP Share on and place your WEAKEST member (or the one you want to train/lvl up) as the first party Pokemon. It will earn more EXP this way and you don't have to worry about finishing the Blissey since it pretty much knocks itself out. For the last Blissey, some trainers are nice enough to give it a Toxic orb so that it dies faster but just in case bring Toxic with you and/or a Physical move. By the time you get to the 3rd Blissey your Pokemon will probably be lvl 40 so a Physical move can go a long way. Keep in mind you can only do this once a day but try to add as many trainers with Blisseys to your base as you can. Now that THAT'S out of the way, after you've done your Blissey massacre just do Pokemon League nonstop. They reward the 2nd best EXP and also give you a good amount of cash! Good luck and remember that O-Powers and Lucky Eggs go a long while! From here I put 1 or 2 max level Pokemon in my party to fight. Then use exp share to boost the rest. Each trainer uses the same Pokemon with every battle and several of them have a team of two or three audio. When you encounter them or one of the elite four after you beat the game use the exp plus o-power. I have 6 level 100 Pokemon and dozens of level 50plus Pokemon in less than 100 hrs of gameplay. Not every trainer is going to be super high but with black writ in use you will see levels between 35-70 (grand dutches). All trainer battles. And with new one every 5 min you can make a circuit of the mansion and never run out of trainers. What is the easiest way of leveling up your Pokemon in ORAS? Easiest way to level up a strong Pokemon? Easiest way to level 100 in sun and moon? What/where is a fast way/place to level up my Alolan Diglett? Is there any way to level up pokémons fast? Leveling up fast to level 100? Does using rain dance then leveling up a sliggoo to level 50+ evolve it? What is the level-up movepool of Helioptile/Heliolisk?